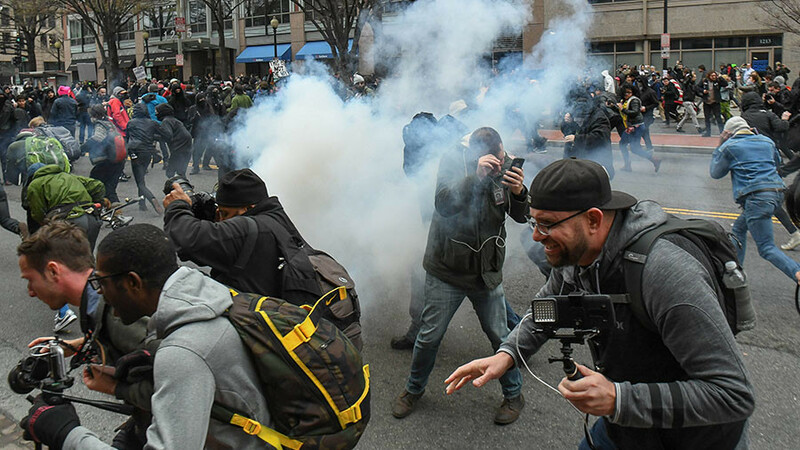 A 10-year-old boy and his mother are suing Washington, DC police officers for unlawfully pepper spraying them during a roundup of protesters on President Donald Trump’s Inauguration Day. 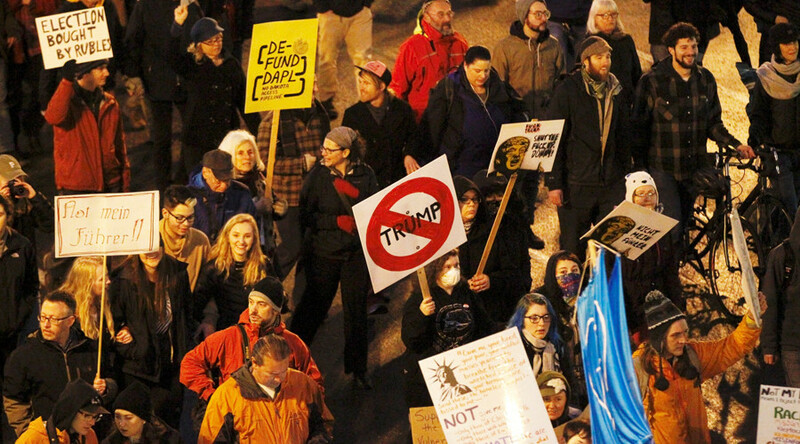 The complaint filed Wednesday says that Gwen Frisbie-Fulton and her son, identified only as as “AS” – since he was 10 at the time – were peacefully demonstrating when police kettled protesters at 12th and L Streets on January 20, 2017. The lawsuit says police discharged pepper-spray in “supersoaks.” Frisbie-Fulton and her son tried to escape the spraying, but AS was knocked back into the group by a line of officers. Frisbie-Fulton said she tried to carry her son away from the chaos but he was coughing and choking so much she could not carry him any further until another protester assisted her. 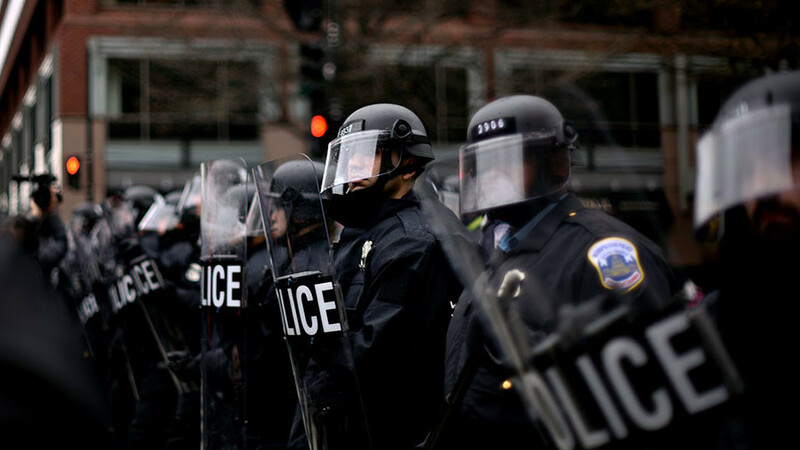 The lawsuit names 27 officers of the Metropolitan Washington Police Department, and has been filed with the assistance of the DC chapter of the American Civil Liberties Union (ACLU). Frisbie-Fulton’s complaint is an addition to the original lawsuit against DC police filed on June 21, 2017. The amended complaint identifies 27 officers, including eight supervisors who the ACLU alleges ordered, and in some case participated, in unlawful conduct under the direction of Police Chief Peter Newsham. 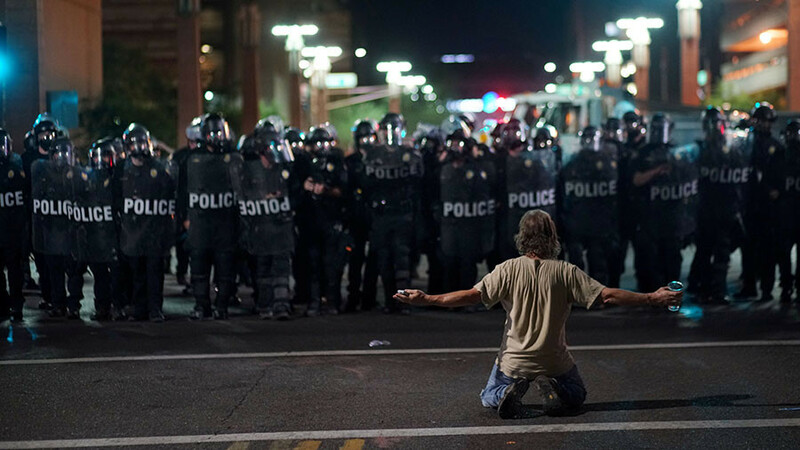 The on-scene commander, Keith Deville, and others are accused of “kettling,” a tactic in which protesters are corralled into an area before being formally arrested, as well as failure to give a dispersal order before deploying chemical weapons – including pepper spray and flash-bang grenades – against demonstrators. “Both are violations of the DC’s First Amendment Assemblies Act,” said the ACLU-DC. 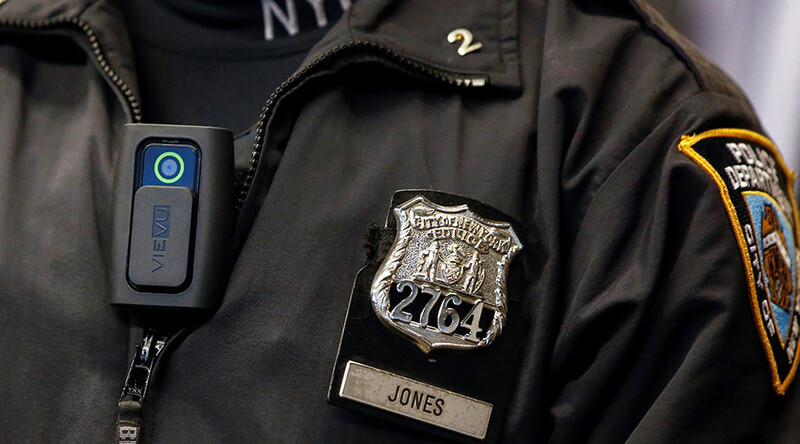 The civil suit further alleges violations under the First, Fourth and Fifth Amendments, as well as claims for assault, battery and false arrest, among others. 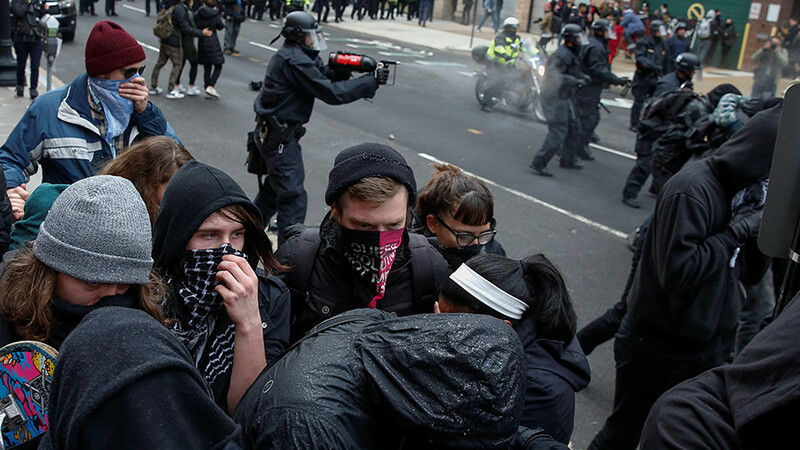 The latest filing comes on the heels of the conclusion of the first criminal trials against Inauguration Day protesters in a DC Superior Court. On December 21, the jury found all six defendants not guilty on all counts.